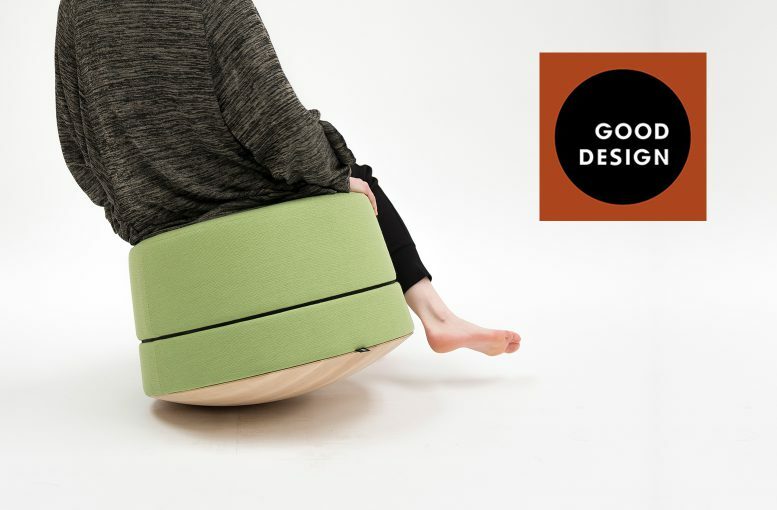 BuzziBalance, designed by 13&9 for BuzziSpace, has won The Chicago Athenaeum International Museum’s Good Design Awards 2016 in the category “Furniture”. With entries from more than 50 nations, BuzziBalance has been selected as one of the finest product designs in the world, as chosen by the GOOD DESIGN jury. BuzziBalance’s concept seeks to create an active alternative to static objects that encourages balanced posture and stimulates body and mind activity – an interactive piece of furniture for individuals or teams for work, private and hospitality environments that offers innovative solutions blurring work and private life boundaries. Since its launch in 2016 BuzziBalance has received the Best of NeoCon Gold Award by Contract Magazine in the category “Office Accessories” and a HiP Award Honoree in the category “Wellbeing”.